It’s a fierce Norse name, a sister to Ingrid and Leif. 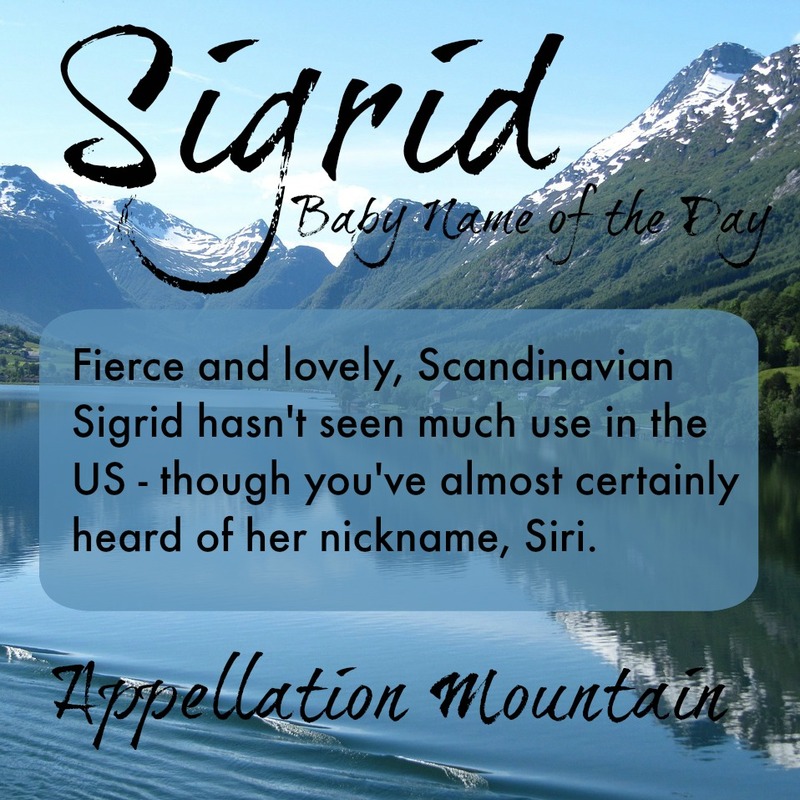 Thanks to Sigrid for suggesting her name as our Baby Name of the Day. Sigrid comes from the Old Norse sigr – victory – and fridr – fair, as in beautiful. 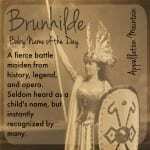 There’s a famous Scandinavian saga about Sigrid the Haughty. 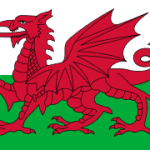 Possibly born a princess of Poland, she married and outlived King Eric of Sweden, and then wed King Sweyn of Denmark, around the tenth century. It isn’t clear how much – if any – of her story is true. It’s said that she burned a hall full of suitors to death in order to discourage them. She did eventually marry, but only as part of an elaborate scheme of revenge. Sigrid may have been the name she took on arrival in Sweden, or perhaps one that later storytellers chose. Henry Wadsworth Longfellow wrote a poem about her, ensuring she is well known in the English-speaking world. In the sixteenth century, King Eric XIV of Sweden gave the name to a daughter. That’s her in the portrait above. Sigrid Holmquist, a Swedish-born actress who made a dozen movies during Hollywood’s silent film era. 1928 Nobel Prize-winning novelist Sigrid Undset of Norway – the photo to the right is Undset as a girl. Sigrid may be unusual, but her diminutive form – Siri – is a household name, thanks to Apple. 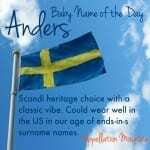 The name has been used since the Middle Ages, especially in Sweden and Norway. The app was acquired by Apple, from a small start-up. The start-up’s CEO, Dag Kittlaus, was of Norwegian descent, as was his wife, Ida. Dag and Ida once considered Siri for their first child’s name, but had Markus instead – and eventually Kaia and Hendrik. Adam Cheyer, one of Siri’s co-founders, also mentioned that he liked it because it means secret in Swahili, and the start-up had originally been called Stealth Company. Also, Cheyer had worked on a software program called Iris earlier in his career – Siri is Iris backwards. It’s said that Steve Jobs wanted to ditch the name pre-launch, but nothing else seemed to fit. Siri rose sharply as a girls’ given name in the US, beginning in 2006. By 2013, numbers were dropping. The most obvious explanations? In 2006, Suri Cruise was born. The similar-sounding Siri was given to 104 girls in 2006, up from 72 the year before. And then in October 2011, Apple introduced Siri on the latest iPhone model. In 2012, 108 girls were given the name. And by 2013? Just 42. Sigrid, on the other hand, hugged the fringes of the US Top 1000 back in the late nineteenth and early twentieth centuries, and is faring better in recent years. In 2013, there were 21 newborn girls given the name – the most since the 1960s. Credit our interest in all things Viking, thanks to How to Train Your Dragon and the television series. Though Vikings, which premiered in early 2013, includes only a Siggy. There’s also a Sigrid in The Hobbit: The Desolation of Smaug. The December 2013 installment in the long-running movie series includes a few Peter Jackson original characters. Tilda and Sigrid are introduced as daughters of Bard. None of this takes Sigrid mainstream, the way that fellow Scandi sisters like Astrid and Ingrid are. But that could make Sigrid just the name for you – with a great, built-in nickname, and a fierce, stand-out sound, Sigrid would make an impeccable Scandinavian heritage choice. Or even just something completely different for parents after a strong name for a daughter. What do you think of Sigrid? Underused gem? Or a little too cumbersome for use in English? 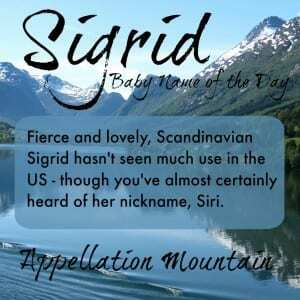 Sigrid is my daughter’s name! Apparently we were one of the 21 baby Sigrid’s from 2013 : ) Her name was inspired by my husband’s and my common Swedish ancestry. It was a strong, yet feminine name that we could agree upon. I’ve always pronounced my name “See grid” but have heard others say “Sig rid.” How would you weigh in on the pronunciation? I’ve met two other Sigrids, both who favor the long ‘e’ pronunciation – See grid. So I’ve always assumed that was correct – or at least preferred – in English. I’ve loved Sigrid since reading Kristin Lavransdatter (Sigrid Undset’s most famous novel). It’s an epic read, and so complexly beautiful that I can’t help but admire the author! I love Sigrid’s look and sound. I’d love to meet one! Australian’s should be quite familiar with the name Sigrid due to Sigrid Thornton a famous Australian actress. She played Jessica in the Man from Snowy River, a movie adoption of the poem by Banjo Patterson.